Ever since the night of "The Event," Bo Vincent Chen has had visions of an epic catastrophe making its journey toward Earth. 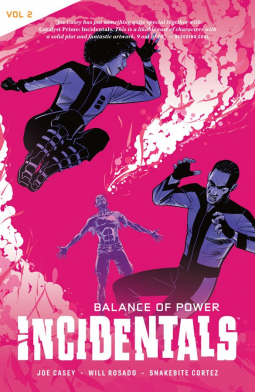 To combat this potential future, he's brought together a team of enhanced individuals known as the Incidentals. However, each assigned mission has more often led down the path of failure than success for the team. With each new disaster comes another fracture between the team and Bo . . . fractures that threaten to rip the team apart for good as the secrets and bodies pile up around them. Could this be the end of the Incidentals as we know them, or a new beginning in disguise?